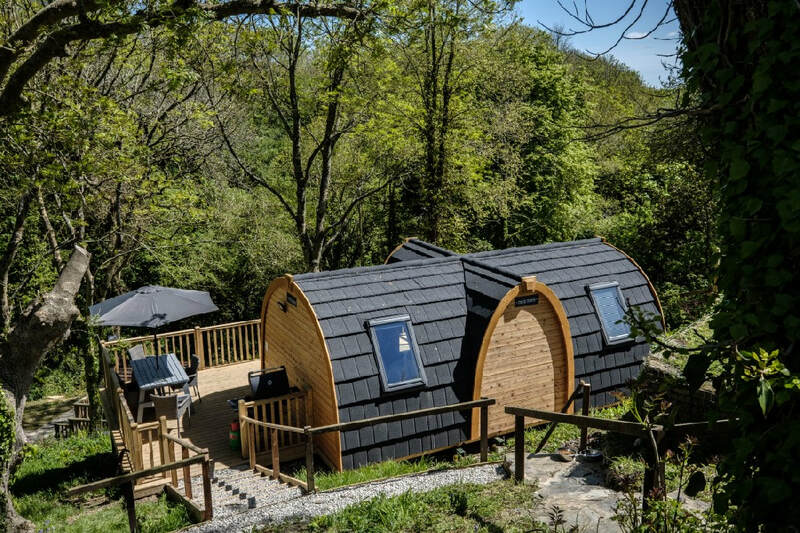 What is a Glamping Pod or posh camping ? 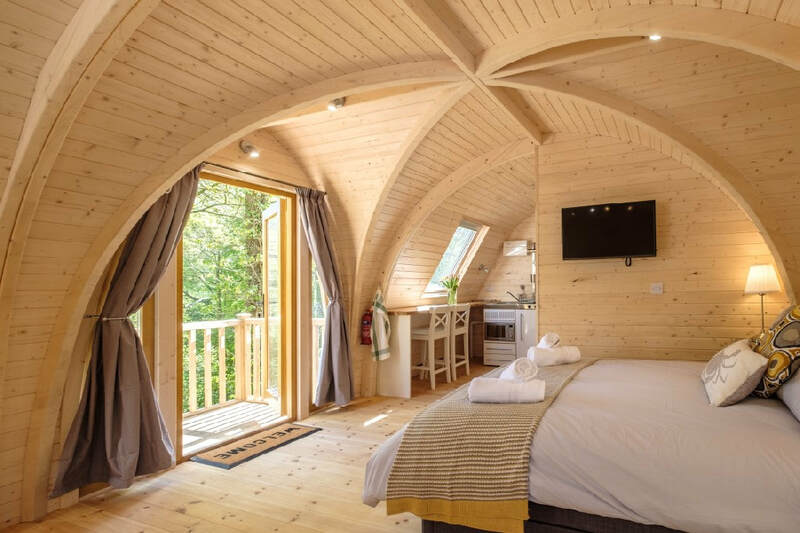 Glamping pods, posh camping or glamorous camping seems to be taking the camping sector by storm, a range of 'tents' ranging from VW camper vans to luxury exotic tree houses are emerging across the world. 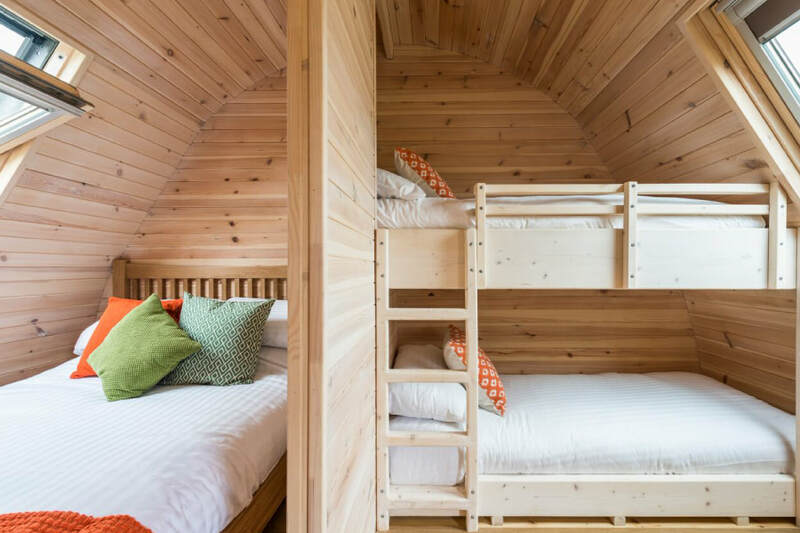 We have a couple of distinct products that are being sold into camping parks, farms and woodland areas for overnight accommodation and longer stays. 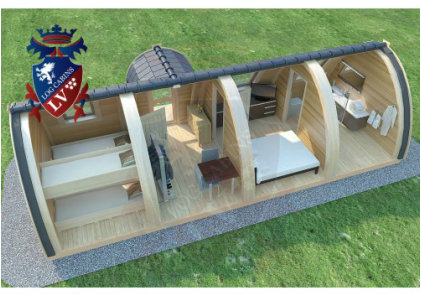 Our latest product is our Arch Deluxe Pod, it is a modular cabin, 4m wide and lengths upto 14.4m which will be 6 modules connected together on site. The range is based on creating a multi room luxurious complex which will fit into any surroundings. 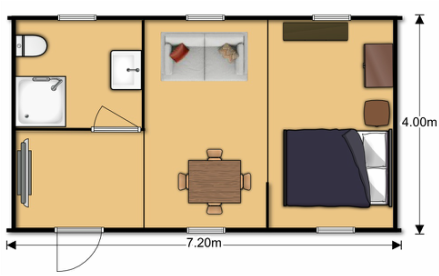 The illustration below shows the 7.2 x 4m model where a kitchen unit and / or bathrooom can be added. 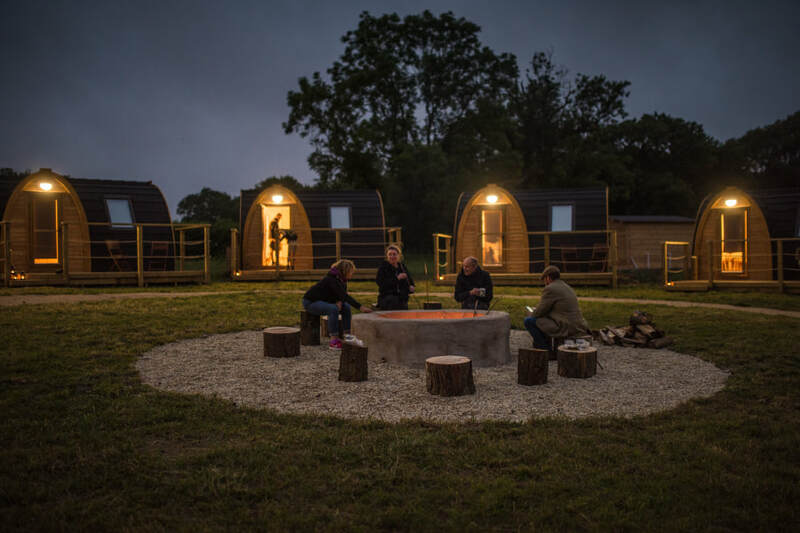 The flexible glamping lodge, from country garden to camp site, your choice. 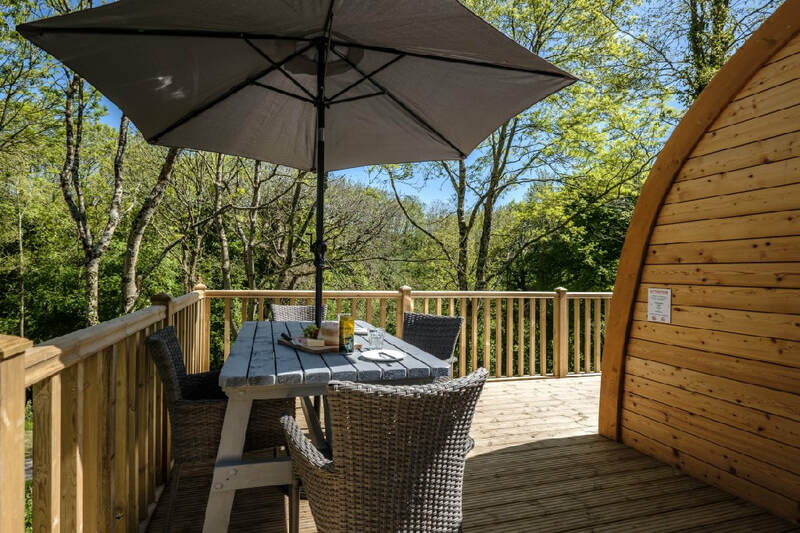 A Glamping experience to be matched, fully fitted with bedrooms, shower room and toilet, and fitted kitchen area Just bring your walking boots, fishing rod and the glass of wine. 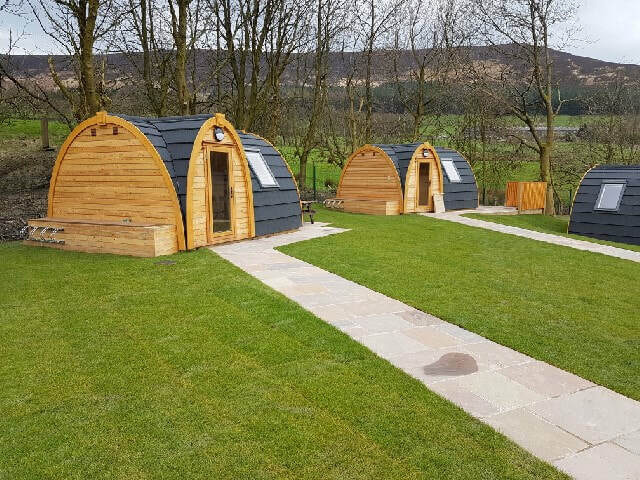 Please send me more information on the Glamping units.. Your post code / general area for any follow up visits. 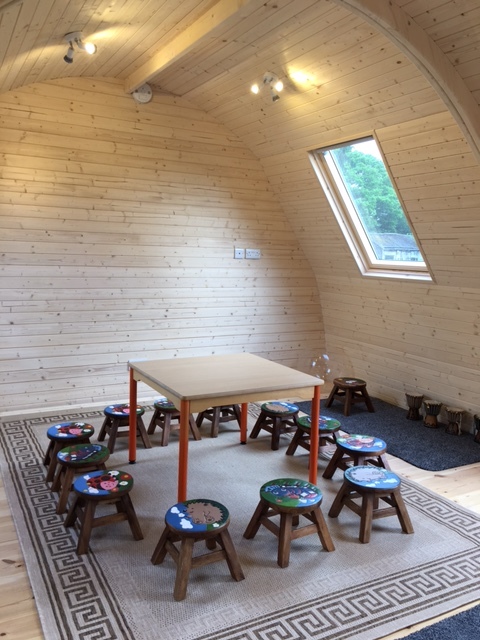 Great space to use as you prefer. this is a Nursery unit with toilet and small kitchenette. New Camping Sites-- ask about our 'brilliant' finance options. 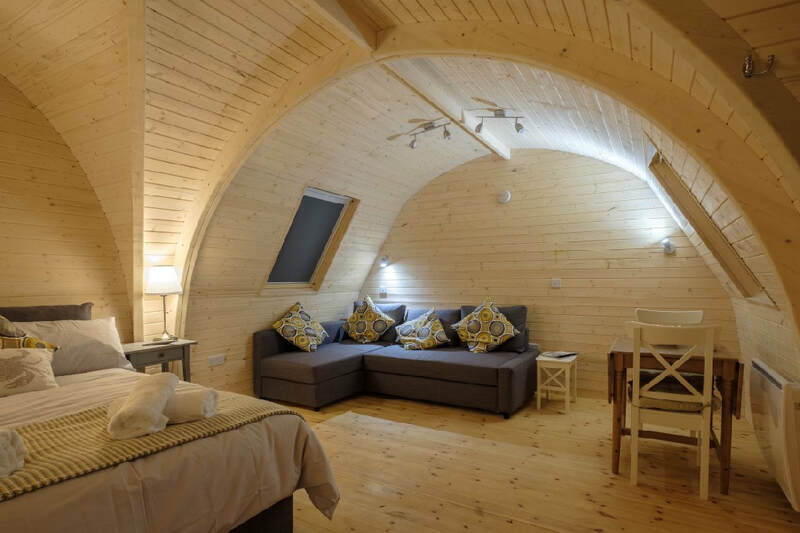 Our luxury glamping pods offer hotel style accommodation for 2 to 8 people. 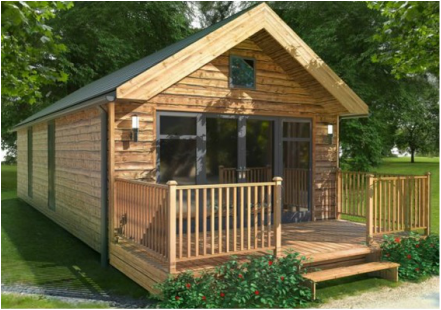 All models are available for leasing, this makes great financial sense for any park to offer short breaks in hotel style accommodation. Leasing allows you to invest in more buildings and grow the business, a great return on your investment. Why settle for second best when you can have the latest from the Arch Leisure Range. 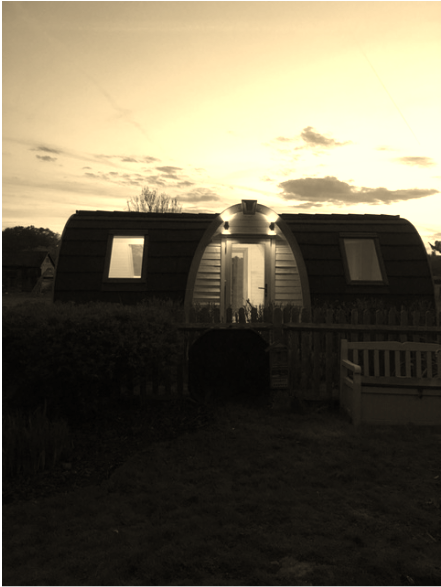 The new Arch Leisure Glamping Pod, 4m wide x 7.2m Long with 2.7mtr internal height, residential quality Velux windows and glazed door, fully insulated with electrics package and option for bathroom, kitchenette and internal furniture. Longer models available. All our units are custom built to your requirements and delivered to site. For volume requirements all the Arch Leisure units can be built to your own design and are available with a choice of kitchens, bathrooms and interior design packages. 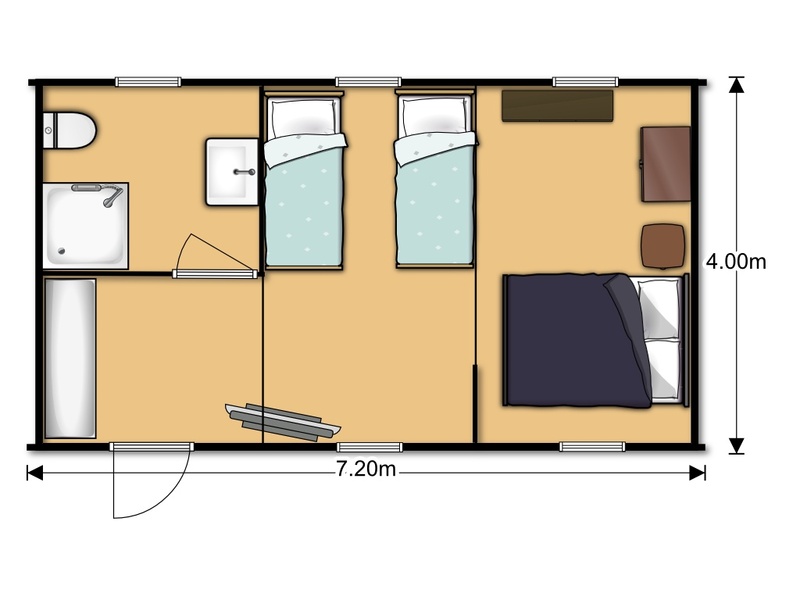 We have a range of camping models and layouts, ranging from camping accommodation to luxury apartment...... you choose. 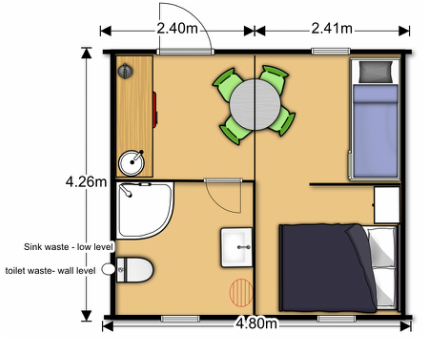 This one or two bedroom luxury accommodation lodge, with kitchen, shower, bathroom, toilet and lounge / dining area. The fabulous styling allows the luxury to show itself from the first viewing. 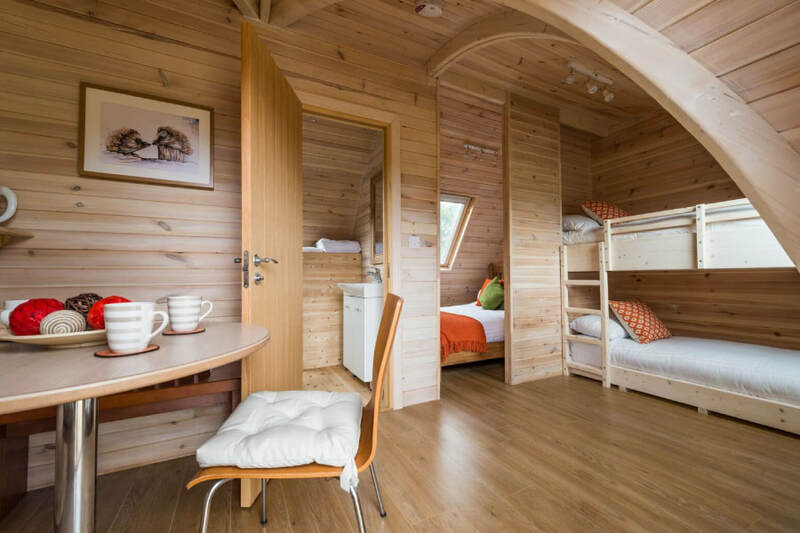 This Glamping design is the one bedroom Glamping Lodge with a spacious interior and a selling price of £20,535 + VAT for this 7.2m x 4m size, bathroom and kitchenette extra. Choose an Amenity layout ! 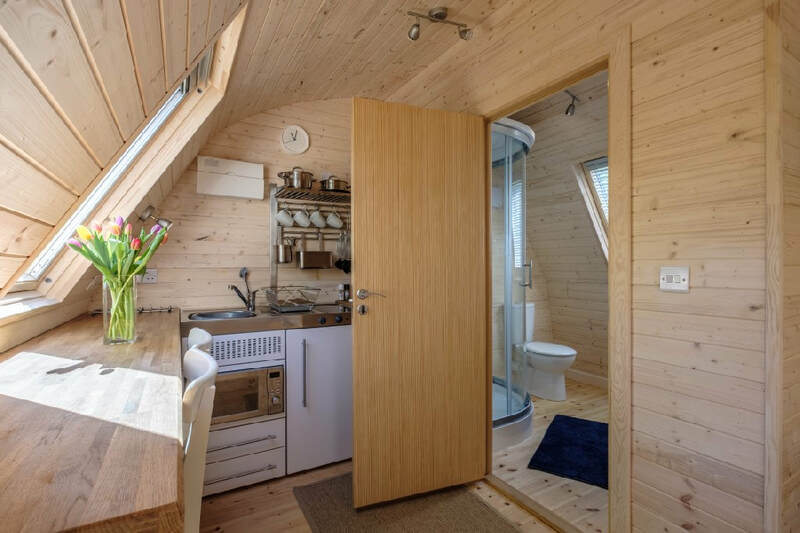 If you want to offer luxury accommodation but use shared toilet & shower facilities, see our portable amenity units which can help planning permissions. View our new onsite Toilet and Shower room amenity designs.